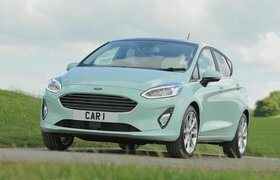 Ford Fiesta long-term test review | What Car? 5 April 2018 – trading up? I finally got the chance to put the Fiesta through a proper test run with a trip to Liverpool over the Easter weekend. I was concerned that the 400-mile round trip might drag with just a 1.0-litre petrol engine to power us along, but I needn’t have worried because it’s a peach of an engine, getting us up to motorway speeds quickly and remaining quiet and refined while cruising. The Fiesta was so comfortable, in fact, that we arrived feeling fresh after a five-and-a-half-hour journey. However, my 6ft 2in brother did feel the non-height-adjustable front seat was set too high, leading him to feel a little claustrophobic by the end of our journey. 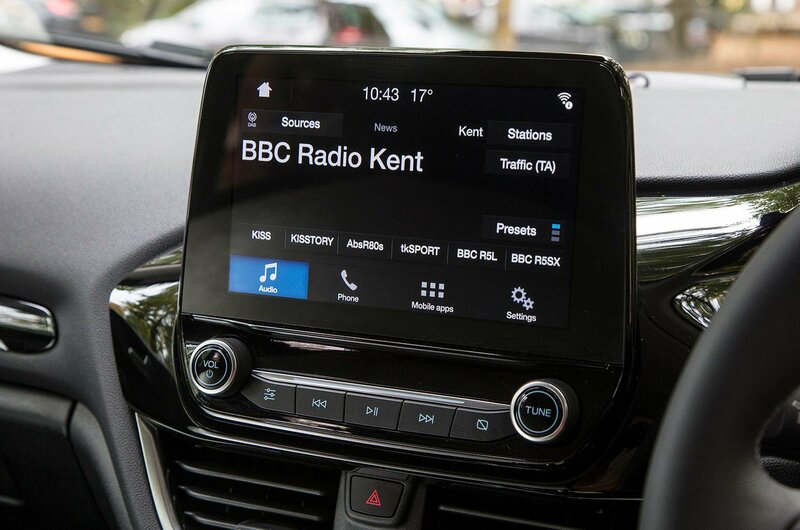 The positioning of the infotainment system is also starting to wear. While the 8.0in touchscreen is crisp and the icons responsive, the placement of it doesn’t quite work. It’s set too far forward, so you have to turn your head rather than just your eyes. This becomes annoying after a while and even a little dangerous when travelling at motorway speeds. Meanwhile, I got the chance to drive an equivalent Volkswagen Polo over the past month. This has given me the chance to assess just how the Fiesta compares with one of its closest rivals. To my eyes, the Fiesta is the more attractive car, its curves and side sculptures standing out against the more conservative-looking Polo. 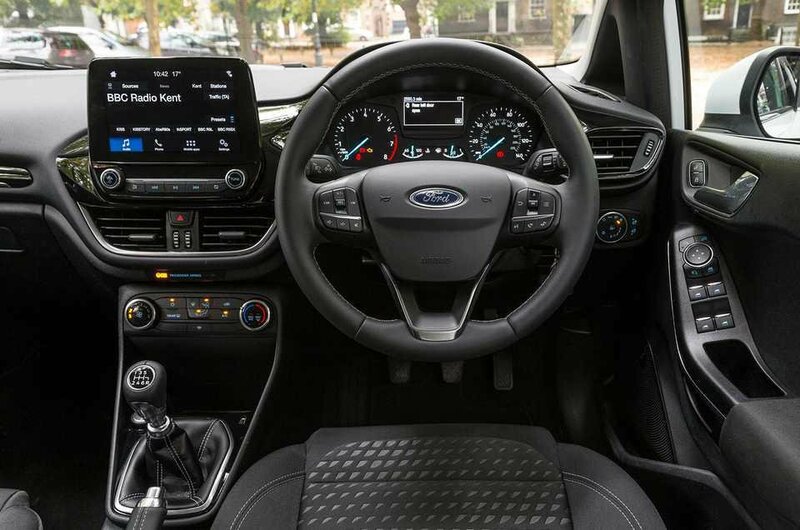 I also preferred the look and feel of the Fiesta’s interior. While VW has a deserved reputation for quality, the Polo’s dashboard felt solid but a little underwhelming. The Fiesta’s soft-touch plastics appeared more high-end than the harder plastics in the Polo, too. It’s a tighter contest in terms of driving, though, and as ever it comes down to personal preference. The Fiesta’s 1.0 engine felt slightly more responsive than the Polo’s 1.0 unit and the steering provided more feel through the corners. But I preferred the slicker gearchange in the Polo and the car absorbed bumps and potholes better. It’s a close call, but I’ll happily stick with my Fiesta for now.